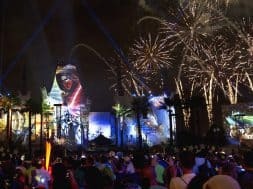 On April 14, 2017, Disney kicked off what has unsurprisingly already become a brand-new after-hours tradition: an all-things-Star Wars celebration called Star Wars: Galactic Nights. Today, the company has announced a second round, scheduled for Saturday, December 16 – just one day after Star Wars: Episode VIII – The Last Jedi hits theaters, incidentally – making it a newly-minted biannual event (which occurs alongside a newly-annualized film franchise). Here are the Galactic basics: attendees will be able to enter Disney’s Hollywood Studios starting at 5:00 pm, although Galactic Nights won’t officially kick off until 7:00 (and will last until midnight). 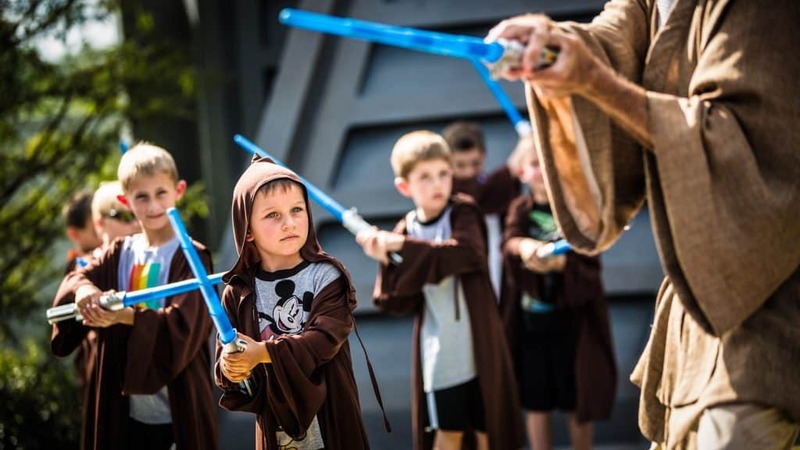 Tickets cost $129 for adults – children can knock five dollars off that amount – and there are both discounts that can be had (such as the one for annual passholders) and up-charge offerings that, of course, can be tacked on throughout the night. 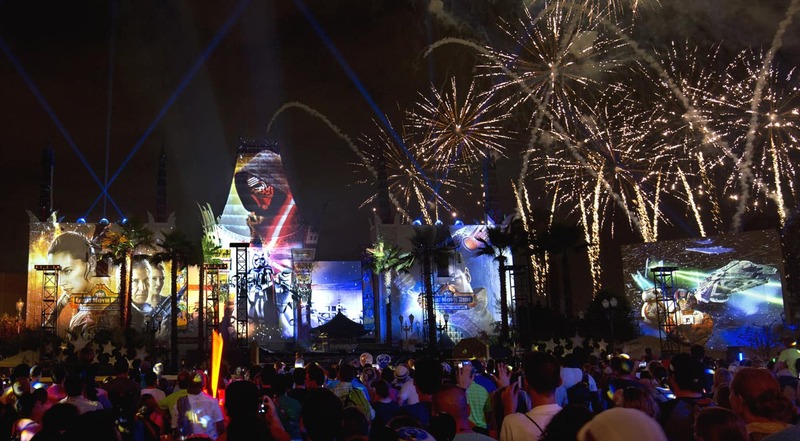 A major draw of the night’s activities will be special editions of the Star Wars: A Galactic Spectacular fireworks show and the Star Wars: A Galaxy Far, Far Away mash-up stage production. (Although Disney didn’t get too specific on how these performances will be enhanced, it did mention that “special saga elements” will be present.) A Disney party wouldn’t be a Disney party, however, without reason for guests to continually whip out their cameras, and this new Galactic Nights doesn’t disappoint: not only will there be plenty of character meet-‘n-greets (with “roaming” droids and the chilling AWR Troopers from last year’s Rogue One: A Star Wars Story), but also “incredibly detailed” photo ops that recreate iconic scenes from the franchise’s many film and television installments. 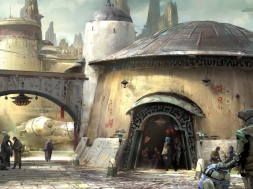 Oh, yeah – there’s also going to be a slew of exclusive food and beverages, and Disney is even going to install a special Imperial stormtrooper checkpoint at Star Tours: The Adventures Continue that is busy looking for a Rebel spy. 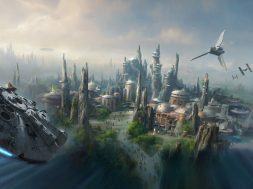 But the biggest highlight of Galactic Nights seems to be a special sneak peek at Star Wars: Galaxy’s Edge, the new, 14-acre expansion coming to Hollywood Studios in 2019. A panel discussion, called “Inside the Saga: A Galaxy in the Making,” will occur in the park’s Epic Theater to discuss what just might already be the biggest SW development in the property’s 40-year history. How about those premium add-ons? The $30 Galactic Tasting Sampler allows, well, a sampling of Star Wars-inspired bites (including Lightsaber churros, Root Leaf Stew, and charcuterie plates featuring C-3PO crackers), while the more-steep $150 Jedi Recruitment package will give kids a Jedi robe, lightsaber, personalized name badge, limited-edition shirt, a guaranteed spot in Jedi Training: Trials of the Temple, and a pic with a Jedi Master. If this post-Last Jedi celebration still just isn’t enough for you, you can also swing by Disney Springs, the new Star Wars capital of Walt Disney World Resort, where you can hit up a brand-new specialty store and, more notably, a new “hyper-reality” experience called Star Wars: Secrets of the Empire.